MDI Debate: Who is Jesus? 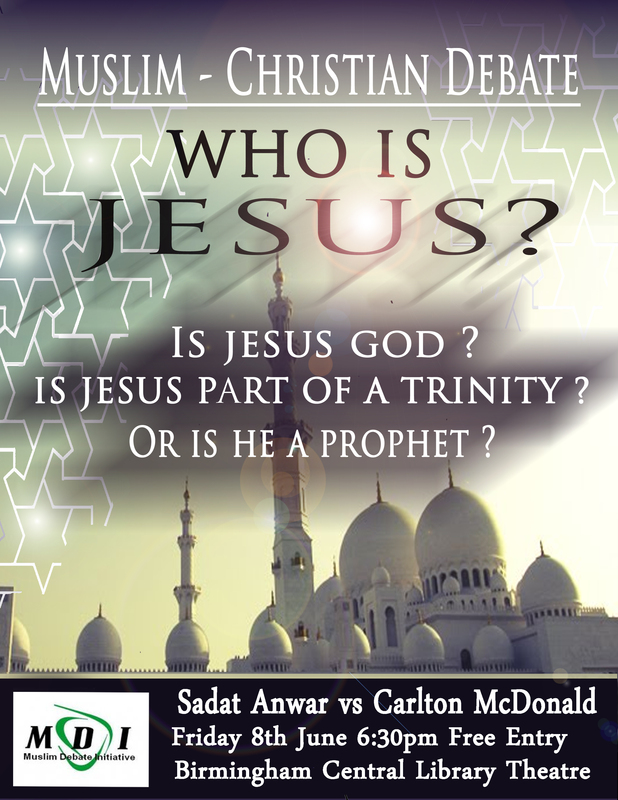 Tagged as: Chrisianity, islam, MDI, Who is Jesus? 1. Yes, Jesus is God. 2. Yes, Jesus is the second person of the the trinity. 3. Yes, Jesus is a prophet,priest and King. The Poster is GREAT. Who made it, it is looking AWESOME. By the way which masjid is that in the picture? A guy by the name of The Last Vampire telling us we Muslims are delusional. Do you see the irony? No no, brother Omar, you’ve gotten it wrong. ‘The Last vampire’ was responding to a christian who was making some claims concerning the answers to the questions in the poster. Look at the comments again. Barak Allahu feek. Jesus is a Human being. But Christians understand them because they have the Holy spirit. Unfortunately Muslims do not believe in these assertions because they have brain , but do not have the Holy spirit . Muslims have brain at the expense of Holy spirit ! such a misfortune for Muslims that they use brain instead of believing what the holy spirit asks them to believe ,they will burn in hell for using their brain!!. My sincere appeal to Muslims is that they should stop using their brains and let the Holy spirit guide them after all he is our shepherd and we are his sheep and we should behave like sheep just blindly follow !!! I utterly fail to see how an unreliable source could be so heavily depended upon for the teachings of a historical person? Going through the polemics of even the most erudite christian Bible scholars, it is clearly hopeless to come close to finding ‘proofs’ – not ‘speculations’ – that the New Testament was penned by the real personal disciples of Jesus. What seriousness could ever be placed on a collection of writings not better than ‘creative arts’ for the actual teachings of a historic person?